AWWA | Desert Diamond Industries – Your Safety… Our Priority! See You in Boston at the American Water Works Association’s ACE14 Conference! Sunday, June 8: 3 p.m. to 6 p.m.
Monday, June 9: 10 a.m. to 5 p.m.
Tuesday, June 10: 10 a.m. to 5 p.m.
Wednesday, June 11: 9 a.m. to 12 p.m.
Be sure to visit our founder and president Nicholas Mione and our General Manager Troy Fullerton in Booth 2466, and make sure you pick up your chance to win a free Ductile Iron Safety Blade or Husqvarna K970 ring saw! This entry was posted in Important Information and tagged ACE14, AWWA, Conventions, Infrastructure, Sewer, Water on June 4, 2014 by Desert Diamond Industries. Can You Tap a Pipe This Fast? This video isn’t related to diamond blades or grinders. We’re posting it here because we stumbled across it yesterday on the American Water Works Association’s YouTube channel. 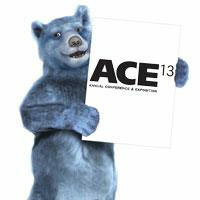 We were getting in the mood for the ACE13 conference next month, this video impressed us, it’s Friday, so why not. ACE12 featured the high-energy Pipe Tapping Contest, where top utility teams from section-level contests race to tap a cement-lined, ductile iron pipe. You didn’t know that there were pipe tapping contests, did you? Or that there’s guys out there who can tap a ductile iron pipe in 70 seconds? Well, now you do. This entry was posted in Video and tagged ACE13, AWWA, Conventions, Sewer, Video, Water on May 3, 2013 by Desert Diamond Industries. Desert Diamond Industries to Attend AWWA’s ACE13 Conference in June! Desert Diamond Industries’ recent showcase at the FDIC 2013 conference made us realize the ridiculously high demand for the Safety Blade. For that reason, we’ll be attending another conference next month! Desert Diamond Industries will attend the American Water Works Association‘s ACE13 conference from June 9 to 12 at the Colorado Convention Center in Denver, Colorado. We’ll be exhibiting blades designed for the water, wastewater and infrastructure industries, like the Ductile Iron Safety Blade, Ductile Iron Ring Saw Safety Blade and Carbide Chunk Blade. This entry was posted in General Information and tagged ACE13, AWWA, General Information, Infrastructure, Utilities, Water on May 1, 2013 by Desert Diamond Industries.